With the Academy Awards approaching, we are being treated to all manner of behind-the-scenes footage and featurettes for Oscar-nominated movies, but so far our favorites are those offering us a sneak peek behind the mind-warping visuals in films nominated for Best Visual Effects. We recently got to see how ILM created fantastic alien worlds for Lucafilm’s Rogue One and now the same VFX house has released two more videos showing how they created the Mirror Dimension and Hong Kong time-warp for Marvel’s Doctor Strange. World-famous neurosurgeon Dr. Stephen Strange’s (Benedict Cumberbatch) life changes forever after a horrific car accident robs him of the use of his hands. When traditional medicine fails him, he is forced to look for healing, and hope, in an unlikely place—a mysterious enclave known as Kamar-Taj. He quickly learns that this is not just a center for healing but also the front line of a battle against unseen dark forces bent on destroying our reality. Before long Strange—armed with newly acquired magical powers—is forced to choose whether to return to his life of fortune and status or leave it all behind to defend the world as the most powerful sorcerer in existence. 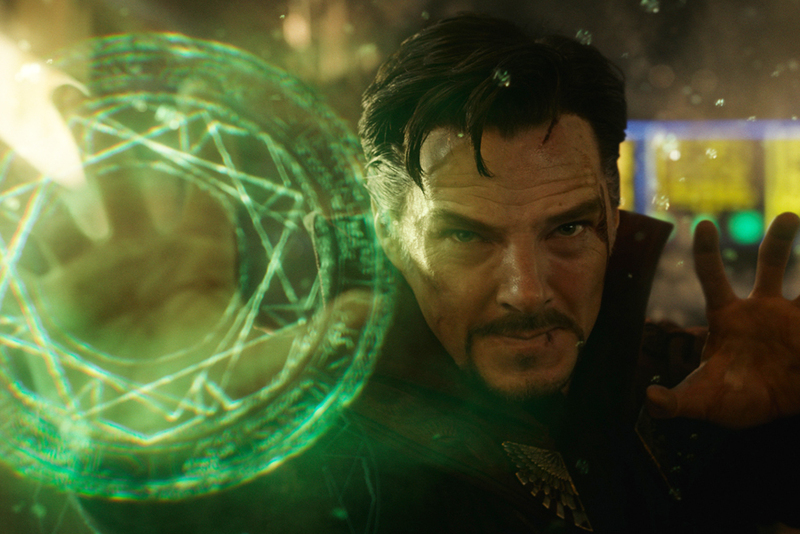 Doctor Strange was directed by Scott Derrickson (Sinister) from a script by Jon Spaihts and Derrickson & C. Robert Cargill. Chiwetel Ejiofor, Rachel McAdams, Benedict Wong, Michael Stuhlbarg, Benjamin Bratt, Scott Adkins, Mads Mikkelsen and Tilda Swinton also star.